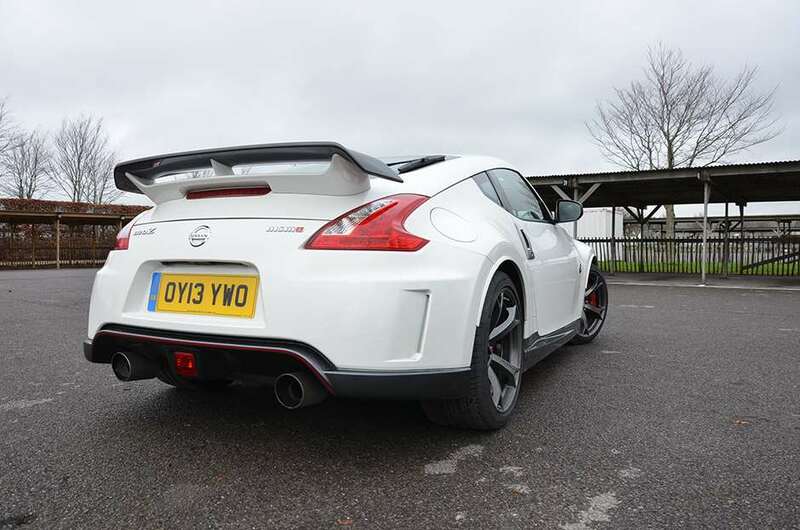 Goodwood - Nissan 370Z: Does old school rule? Nissan 370Z: Does old school rule? What’s the point of the 370Z? That’s surely easy to answer. It is to be the antidote to unnecessary hi-tech, all too often the enemy of the true driver’s car. No electric steering, paddleshift transmission, four-pot turbocharged engine or nanny-state intrusion here then. Think normally-aspirated V6, bicep-straining manual box, proper clutch pedal and plenty of feel through steering and seat of the pants. An old-school champion of the front-engined, rear-drive, two-seater sports coupe brigade – a real Z of old. With just one exception – ironically the most unnecessary bit of techno nonsense ever invented – it is a noble beast. Perhaps the real point though is to offer all this, plus 300 and something horsepower, for hot hatch money: £27,000. So around £20,000 under a Porsche Cayman S or Alfa 4C. True, the current Z is bit of an old-hat choice but good things endure and a big-hearted oversteery coupe like this gets our vote any day of the week. 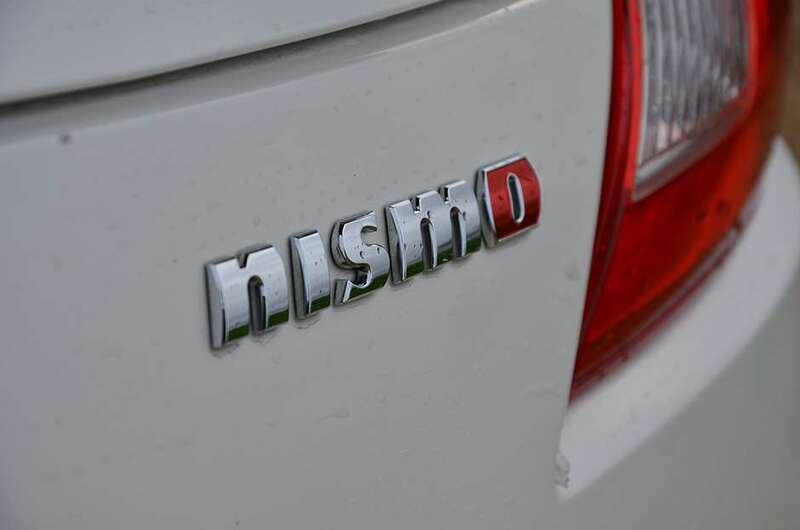 Plus there’s something new in the world of Z: a Nismo badge. 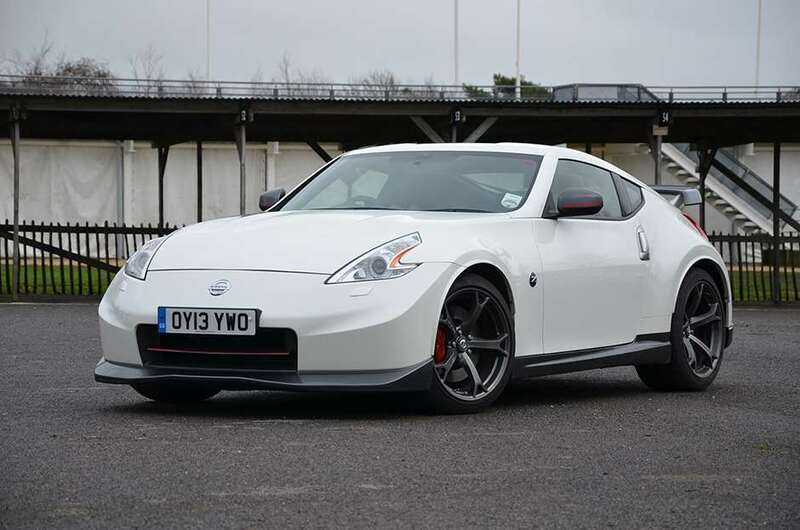 Fettled in Japan by Nissan’s motorsport arm, this 339bhp Z gets a full bodykit, more track-focused suspension and brakes, a full complement of bells and whistles – and at £37,000 is still a hefty wedge cheaper than newer rivals. The Nismo’d 370 is expectedly harder and louder, but the revisions have not transformed the Z. They are effective at boosting street presence but you’d need to live and breathe 370Zs to pick the performance difference. The Nismo gets just 14bhp more from its high-revving 3.7-litre V6, along with a little more torque. But then 0-62 in 5.2 secs is pretty respectable for this class. It’s noisier and firmer riding than other 370Zs we have driven, but it’s not too noisy or uncomfortable to drive everyday – far less demanding than big brother GT-R. The power gains haven’t made the engine sweeter or smoother, though, and there are times when a little V6 silkiness wouldn’t go amiss. Still, it will cruise when it has to without causing too much harm, an ear-bashing from the coarse surface tyre roar apart. If you’ve bought this car to cruise in all the time you have of course bought the wrong car. The 370Z Nismo is all about taking the twisty route. It’s an involving drive, and a rewarding one in that welcome old-school way: effective but not much finesse. ESP off, it’s quick and stable while it grips, and progressive when it’s sliding, with a nice transition between the two. Proper handling, as long as you show it who’s boss. Changing gear is just as involving as exploiting the chassis. It’s a good clutch, operated by, wait for it, a foot pedal. It’s just the right side of firm. The six forward speeds are available by moving a stubby little lever on the centre console: heavy springing, short throws, narrow gate, but quickly learnable. All this is handy, because it definitely helps to double-declutch. In fact it’s one of those cars in which it would be weird if you didn’t double declutch. Again, this car’s not for you if you don’t find that prospect appealing. But hang on, why not just engage S-Mode? This system automatically blips the throttle for you on downchanges, easing the next gear in – and at a stroke depriving the driver of some of the fun, some of what appeals so much about the car to begin with. I think S-Mode was done for the American market. Thankfully you can turn it off. But if only they had spent the money instead on pedals better placed for heel and toeing. S-Mode most definitely off, I enjoyed driving the 370Z Nismo on workaday roads far more than the GT-R we had in recently. It’s a car in which it’s easy quickly to come to terms with its levels of performance and grip. The GT-R on public roads is just unfathomable. Neither does the 370Z even in this significantly firmer suspended form exert too terrible an influence on ride quality. Whether the Nismo version is worth £10,000 more than the entry model is doubtful, however. The S-Mode gadget’s not worth a bean to the sort of driver who’ll buy this car in this country. We can expect more Nismo models in the UK – next up in the spring is the Nurburgring-ruling GT-R Nismo – and they do perhaps need to offer a bit more magic than this Z for to justify such a hefty price premium. Maybe the answer lies with Williams Engineering, of F1 fame, with whom Nismo is now in collaboration on road cars. Any 370Z is certainly old school, but it is also a tad old – six years now, with an inevitably hi-tech replacement not far off. This one’s a bit of a throwback but it’s undoubted fun. So don’t knock it – we’ll miss it when it’s gone. Video: How crazy is a mid-pack visorcam at night at the Dubai 24? Lotus Evora Sports Racer S: Lots of thrills, unusually stimulating?